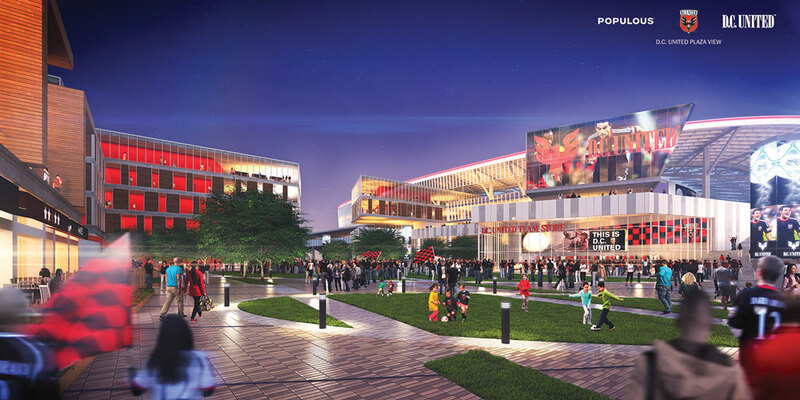 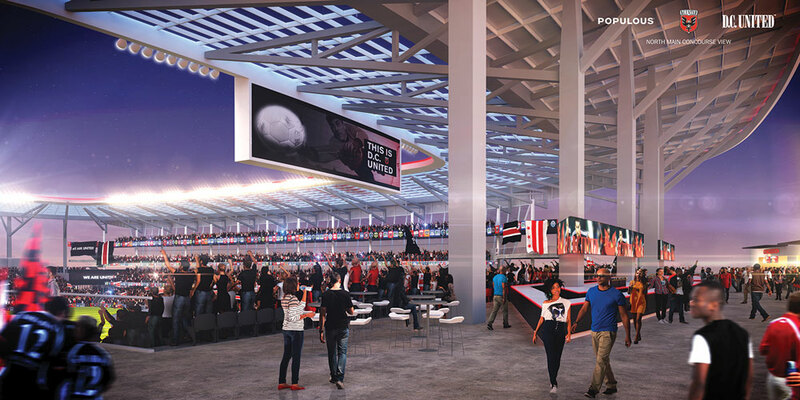 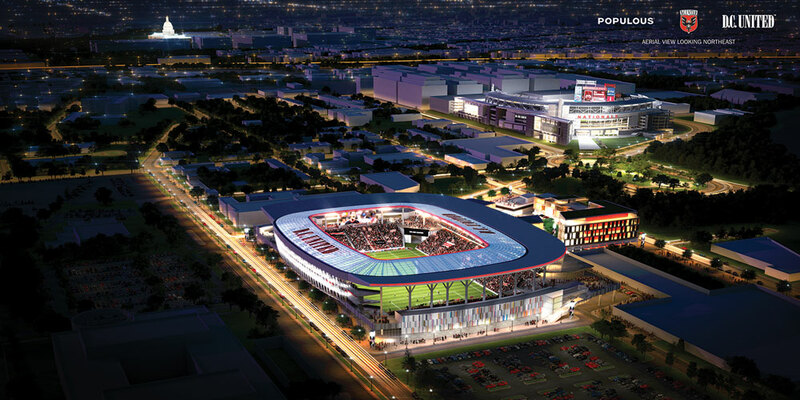 The following image is one of the orignal renderings released last summer. 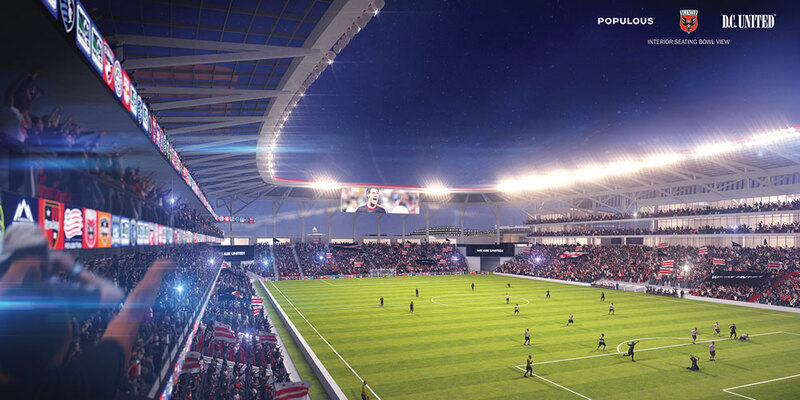 The updated version gives the stadium a more modern, rounded off, and customized roof. 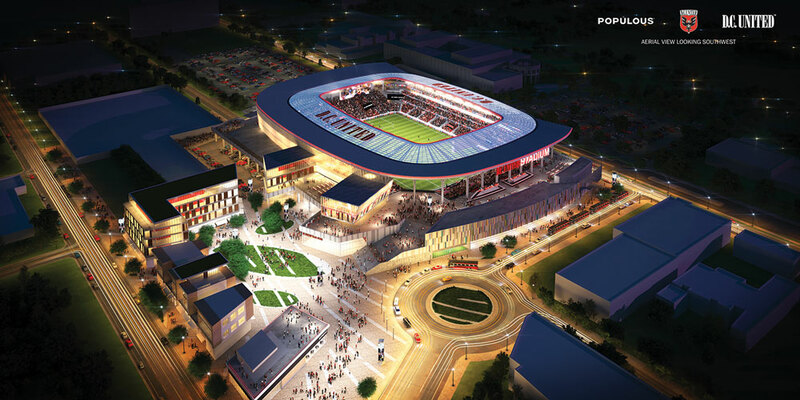 2013 artist rendering. 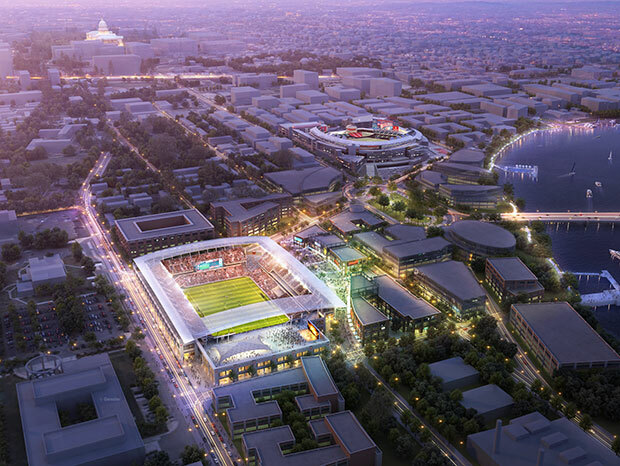 Image via D.C. United.